Those who know me, will attest to the fact that I’m not a lover of winter, and certainly not a lover of snow. However, this past week at least has seen crisp, cold days with brilliant sunshine and, for a change, stable weather. These conditions have been perfect for winter hiking although one must now be very cautious as there is quite a lot of ice above 1000m, particularly in areas which are exposed to the sun during the day but then freeze overnight. However, at over 1500m there is enough snow to make hiking more pleasant. 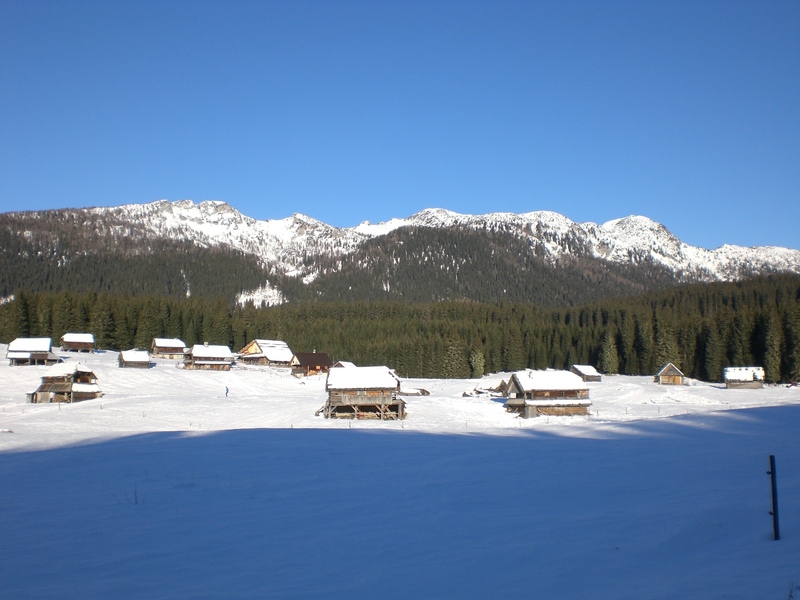 These are then the ideal conditions to head to Pokljuka, which I did on Saturday, and was rewarded with a real winter wonderland. From Radovljica the drive to Pokljuka takes around 40 minutes, via Bled then up the long windy road to the top of the plateau. On this occasion I begun my walk from the Sport Hotel (1280m), first crossing the Zajavornik highland (Planina Zajavornik), then walking gradually up through the forest to reach the Lipanca highland (Planina Lipanca) and the mountain hut Blejska koča (1630m). From here I continued up to the peak of Mrežce (1965m). The walk to Blejska koča is easy but thereafter it becomes quite steep in places and also the snow is a lot deeper but the snow is well trodden and with the help of my crampons, presented no problems. 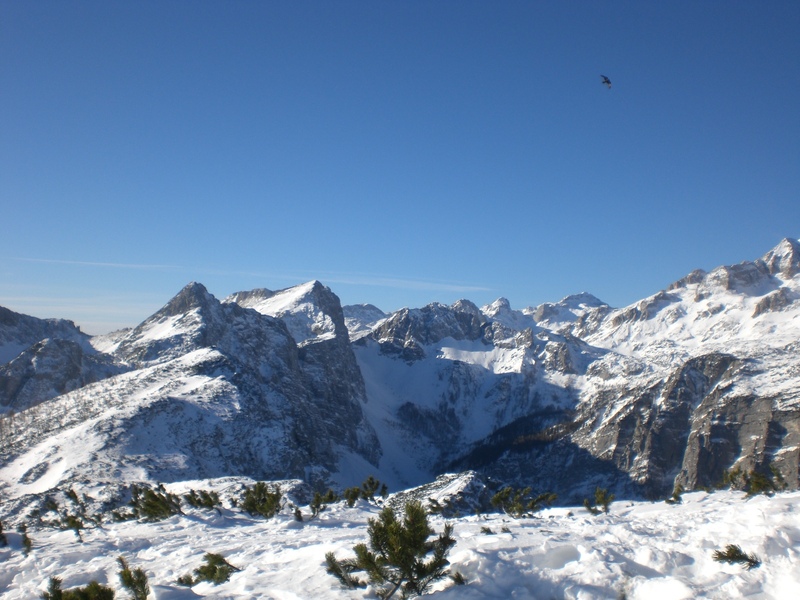 I was richly rewarded for my efforts with cloudless skys, warm winter sunshine and far-reaching views across the Julian Alps, to Triglav and Rjavina and along the length of the Karavanke range and the valleys below. 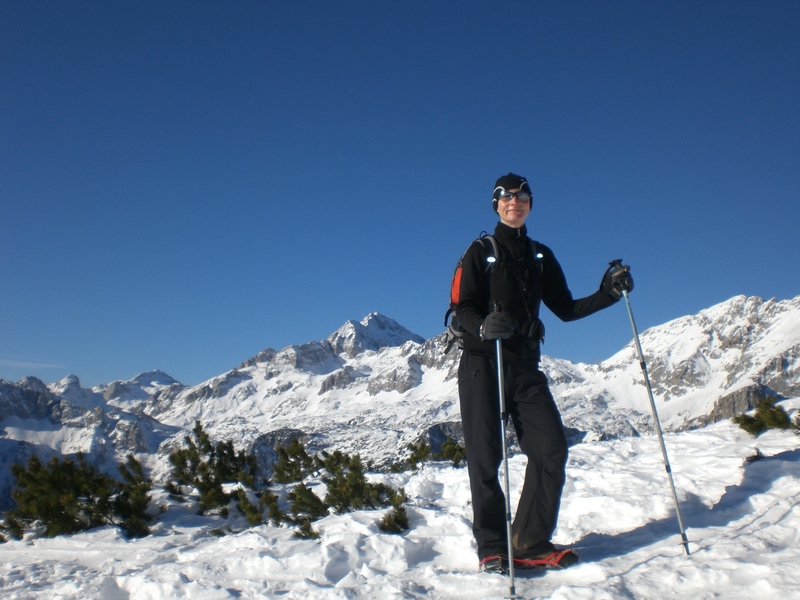 This area is also particularly popular for ski touring and I was fortunate that a skier arrived at the top just a few seconds before me so I was able to ask him to take my picture. However, you can no doubt imagine my angst when having walked all that way, after just a few snaps, I discovered my camera battery was empty – a mistake I won’t be repeating! In these times of crisis and austerity it has, well at least for some of us, become necessary to be more inventive in finding ways of providing our own entertainment and sharing skills and knowledge with others. In this vain, last week I ‘shared’ my baking skills with some friends and we enjoyed an evening of English christmas cake baking. For those of you not familiar with this, the key to the cake begins with the soaking of dried fruit in alcohol for a few days prior to baking the cake, and more alcohol being added every few days after baking. This ensures the cake stays moist and can be kept for several months before covering with marzipan, icing, and of course eating. The cake is now safely tucked up enjoying its regular ‘feed’ of alcohol and not yet quite yet ready to make its appearance on the world stage, err I mean my blog……. photos to follow in due course! 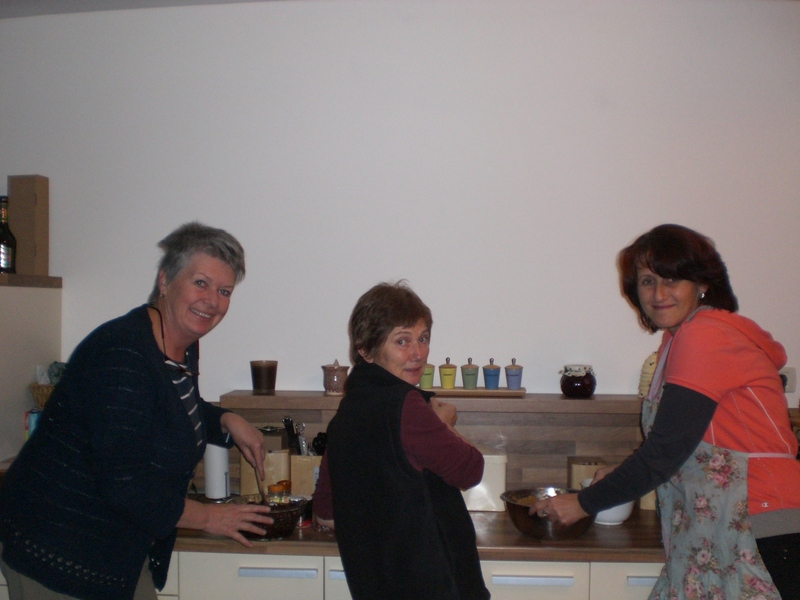 We aim to repeat such evenings as and when the occasions present themselves, the next such one being an evening of making soap. If you are interested in following my blog and receiving it on a regular basis, I have now added a facility to enable this. Simply follow the instructions in the area towards the top of the right-hand column (Follow), and you will receive notification direct to your email each time there is a new post to read. Happy Reading! start my own blog soon. Anyhow, should you have any recommendations or techniques for new blog owners please share. Thanks for the comment and glad to hear you’ve found and are enjoying my blog. Well yes, in short it is quite a lot of work but it really depends on how much effort you put it, the subject matter, how often you post, how much research you do, how much travelling is involved getting to/from places you (might) write about etc. there are so many factors involved so without knowing what you are thinking of writing about, its difficult to give more specific advice. In my case, I’d say that the actual writing doesn’t take too long once I have the idea, but its the research, travel, photography, planning ahead etc. plus all the additional work that comes with it i.e. answering emails etc., that takes up the bulk of my time, and unless you get lucky you will be doing most of it for little, or no, reward or recompense, other than personal satisfaction and meeting new people, making contacts etc.